Our ShowerMists are a fan favorite for relaxing, invigorating showers and baths. After all, nothing beats hot steam and aromatherapy! But that’s not all they can be used for. In fact, today we’re sharing five more ideas to help you make the most of your bottle, all around your home. Grab your ShowerMist and get to spritzing in the kitchen, bedroom, mudroom, and more! At the end of a long school day, give those tired feet a rest! Have your kids kick off their shoes, then spritz a few pumps of Tea Tree-Infused Eucalyptus ShowerMist into the soles to kill any lingering sweat and bacteria that was picked up on the playground. Let the shoes air out overnight before wearing again in the morning. No one likes a stinky kitchen! A few quick sprays of our Citrus-Infused Eucalyptus ShowerMist can help keep trash can and garbage disposal odors at bay. Simply spritz a little down the drain or in the bin before you place a new trash bag inside. Want another boost of freshness? Peel any overripe, mushy citrus fruits you have laying around, toss a few small pieces into the disposal, and grind up while running some water. Do racing thoughts have you struggling to fall asleep? Hold our Lavender-Infused Eucalyptus ShowerMist a few feet away from your bed and lightly spritz your pillows and sheets for a soothing scent that’ll help you wind down. 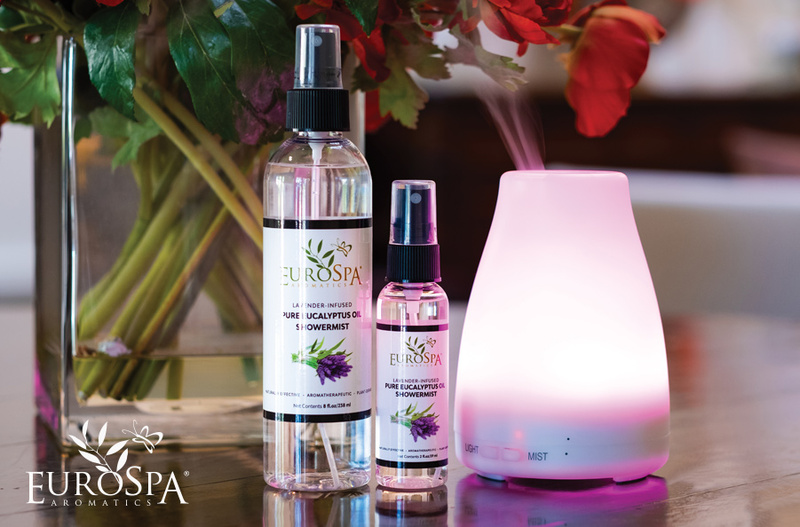 The natural sedative properties of Lavender will have you counting sheep in no time! Bonus: it works for kids too! Did you know that the zing of peppermint isn’t just a great way to freshen your breath, but can help you wake up, too? Spray some Mint-Infused Eucalyptus ShowerMist around the table while studying, reading, or working on the computer to encourage focus and feelings of alertness. If you’re also looking to ease stress, anxiety, and nervousness while you’re studying, try using our Menthol Crystals and Warmer. Keep working hard and ace that test! Prevent mildew or musty smells by spritzing your dirty laundry hampers with your favorite ShowerMist. You can also spray a little on towels between uses for a clean, refreshing scent. This also works great for keeping road trip laundry bags fresh or when you’ll be drying a lot of towels and bathing suits in your hotel room. Do you own one of our ShowerMists? Which scent is your favorite and how do you like to use it? I would love to try the citrus flavor! I can imagine how refreshing the scent is.